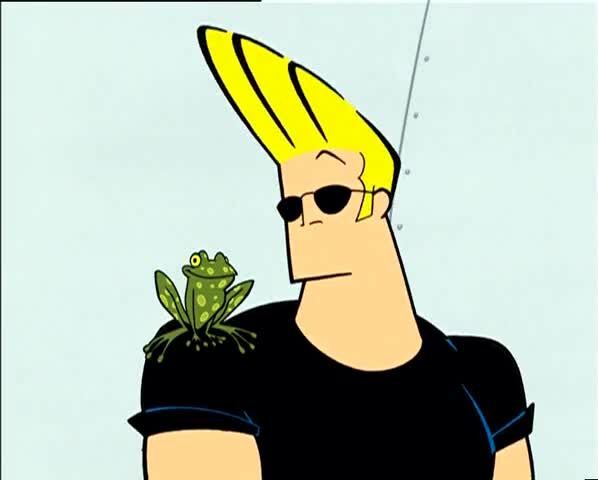 Watch full Johnny Bravo Season 3 Episode 5 full HD online. Cartoon video Johnny Bravo Episode 40 online for free in HD. The Johnny Bravo Affair: ‘Johnny falls asleep in a mummy casket and is awoken when a cat burglar attempts to steal the world’s largest piece of cubic zirconium. After Johnny accidentally eats it, he is kidnapped and taken back to her place (to his excitement), where Bunny saves Johnny. Biosphere Johnny: Johnny locks himself in the biosphere with a pretty lady scientist, Carl, and others, where he destroys all of their resources. Spa Spaz: Johnny checks into a spa to get pampered and meet hot chicks. The manager sees how many toxins are in Johnny’s system and decides that she will take him as her project that will “put her spa on the map”.